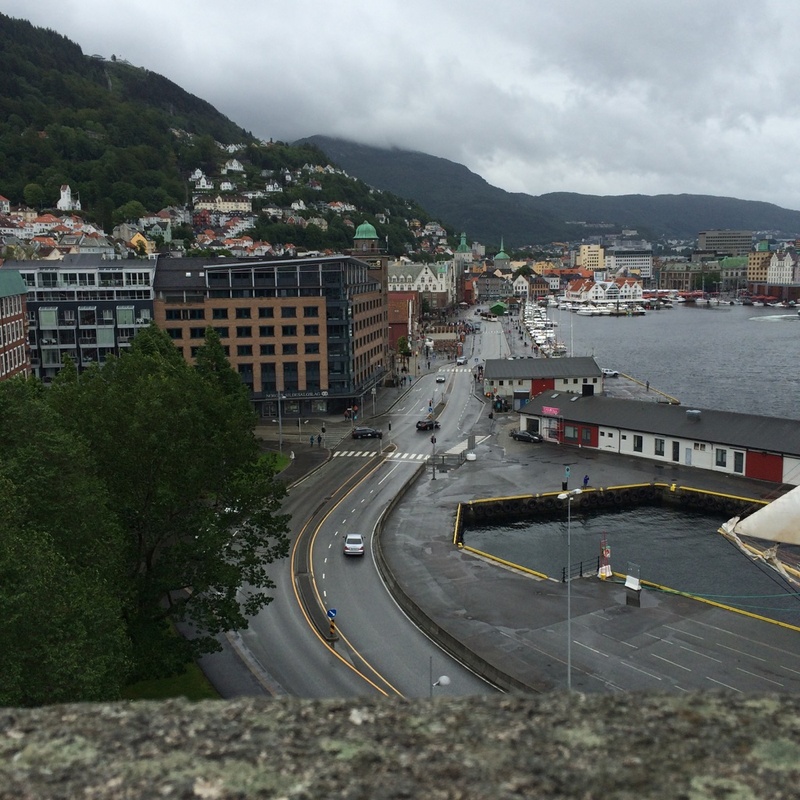 Arriving into Bergen after a 6.5hr train journey from Oslo was quite the relief. 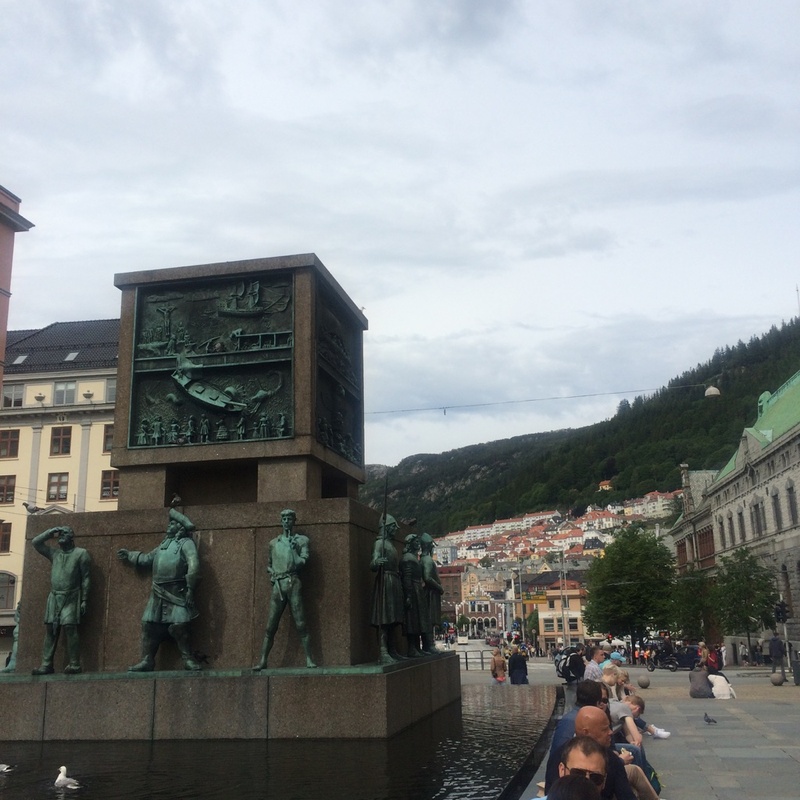 Although our trip had been amazing, it was nice to be back out in the crisp summer Norwegian air, and Bergen instantly wooed us with its charm. 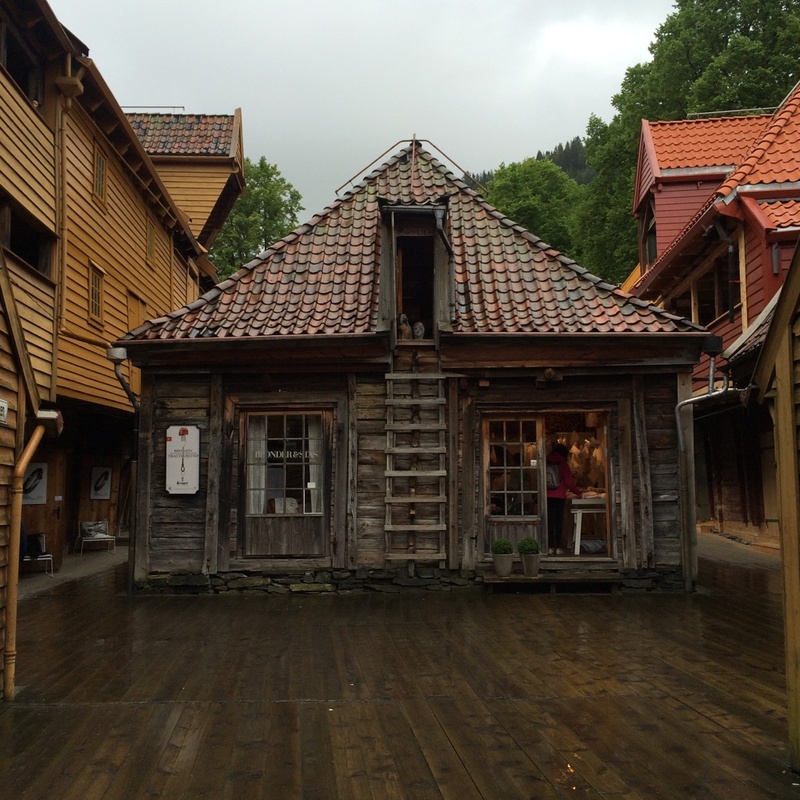 Cobbled streets, wooden houses and a feel of true rustic Scandinavia separates it from the modern and sleek aesthetic of Oslo. 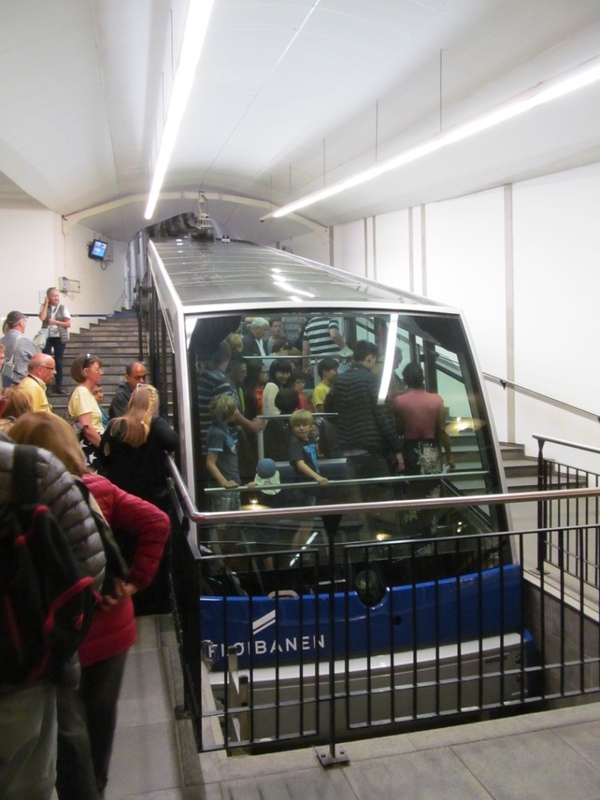 We stayed in the Radisson Blu, 10 minutes walk from the train station and perfectly central to all the main sights. 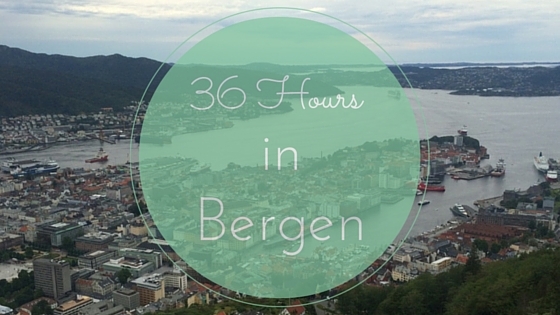 Bergen is an extremely small city – perfect for a couple of days exploring by foot, but also as a gateway to some of Norway’s most impressive natural scenery. 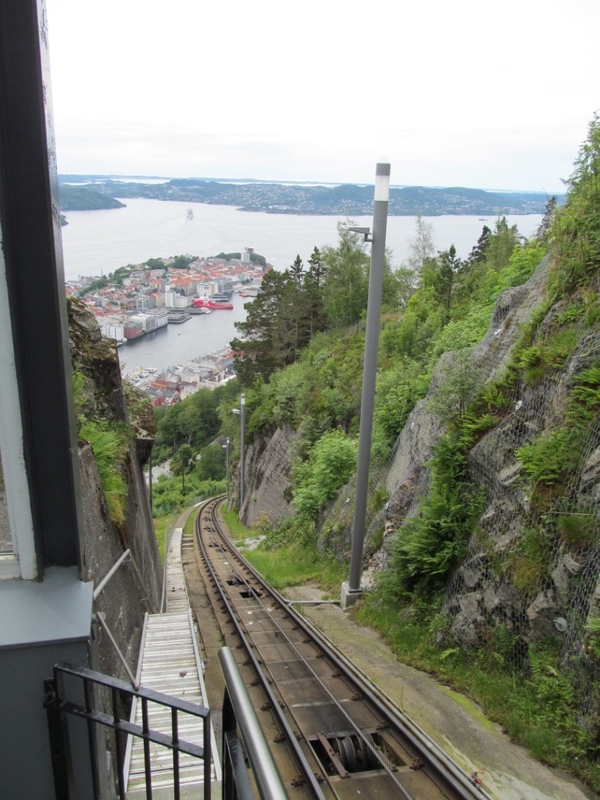 We booked tickets for fjord cruise the next day and set to stretching our legs, firstly towards the funicular railway. 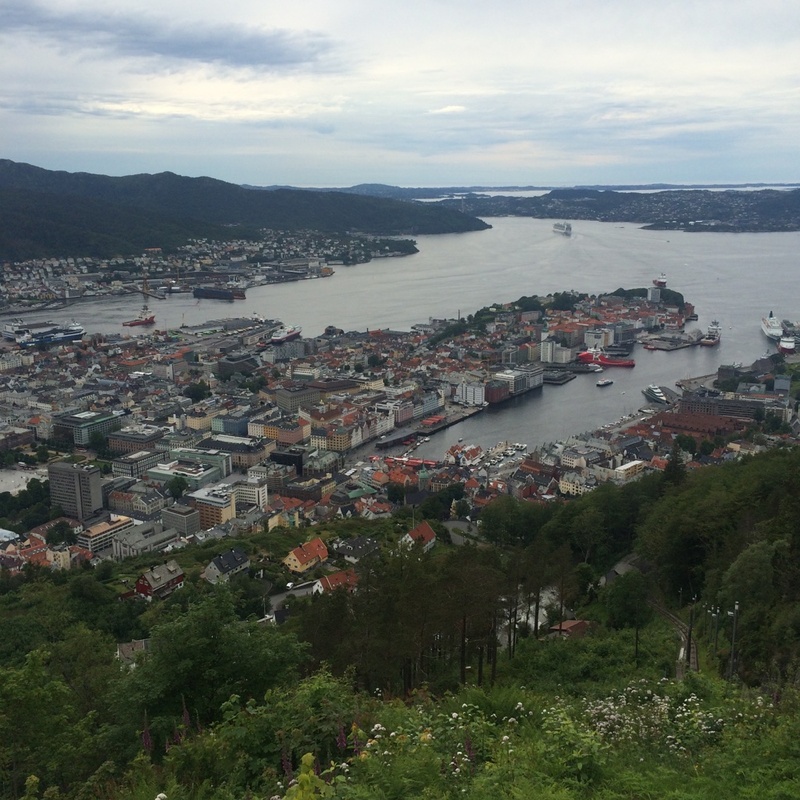 The five minute journey takes you up Mount Fløyen where we were treated to incredible panoramic views over Bergen and out to sea. 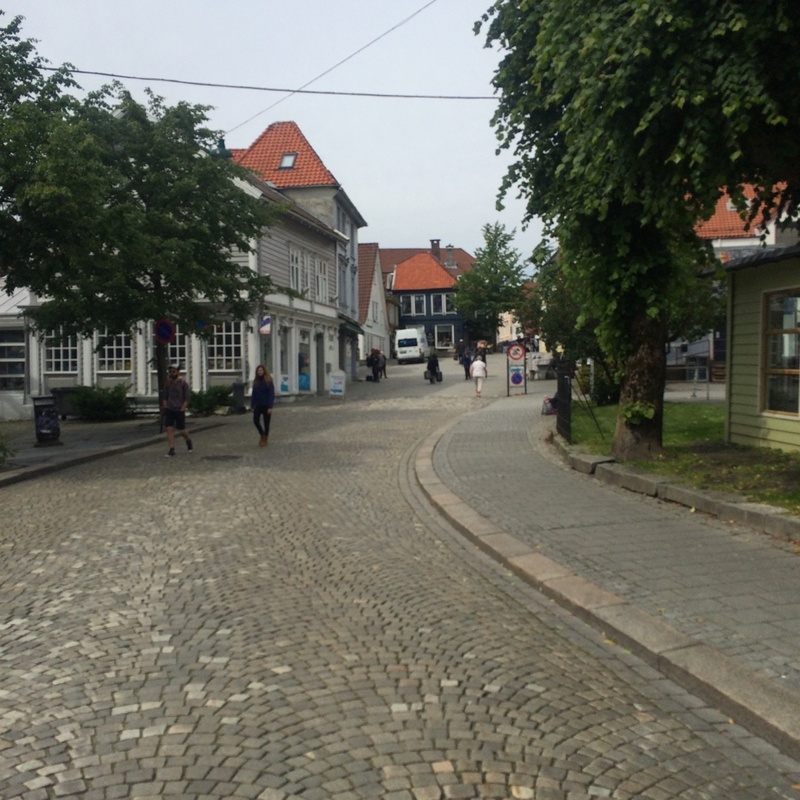 There are a couple of walking trails with routes for all levels from pleasant meandering to a full-on hike. 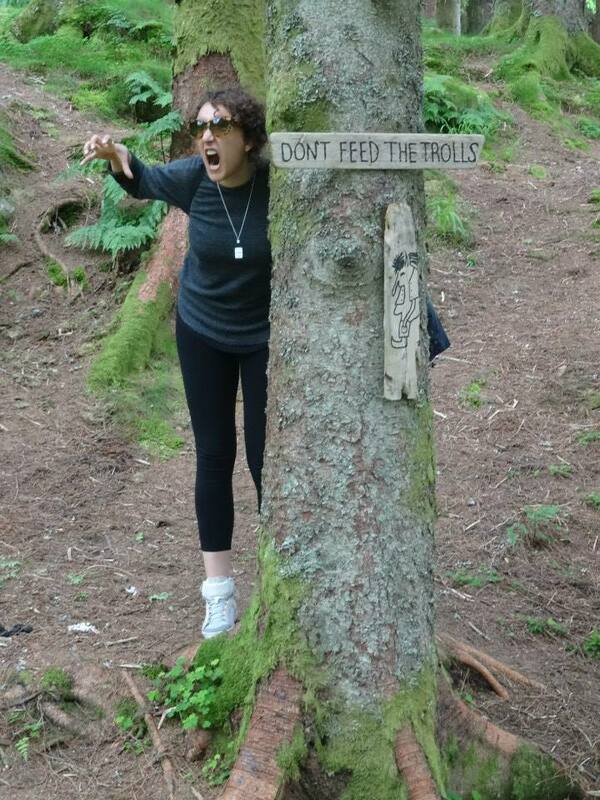 We went for the former and discovered lots of cute signs warning of creatures from Norwegian folklore. The next day we had a full 24 hours to fill but to be frank, it absolutely pissed it down the entire time. 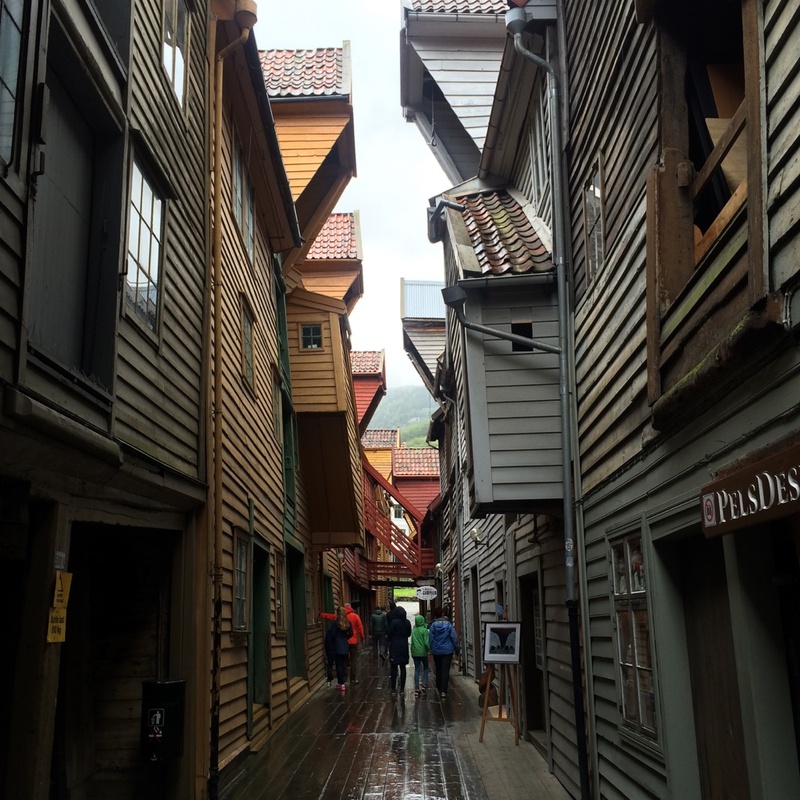 We were prepared with raincoats and a stubborn spirit and set off to Bryggen, a world heritage site with rows of beautiful wooden buildings in reds and yellows. 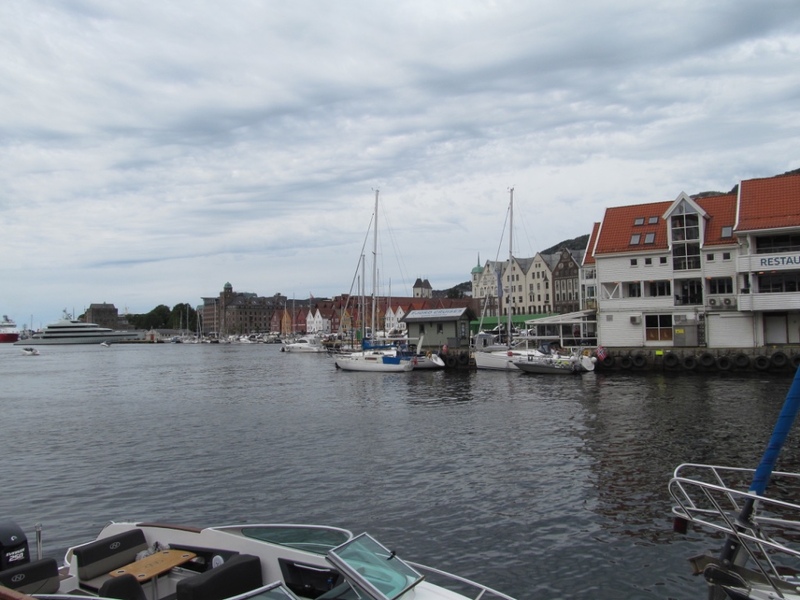 The smell of wet wood and the surrounding port was mixed with the scent of the freshly baked cinnamon rolls of which Bergen is famous for. 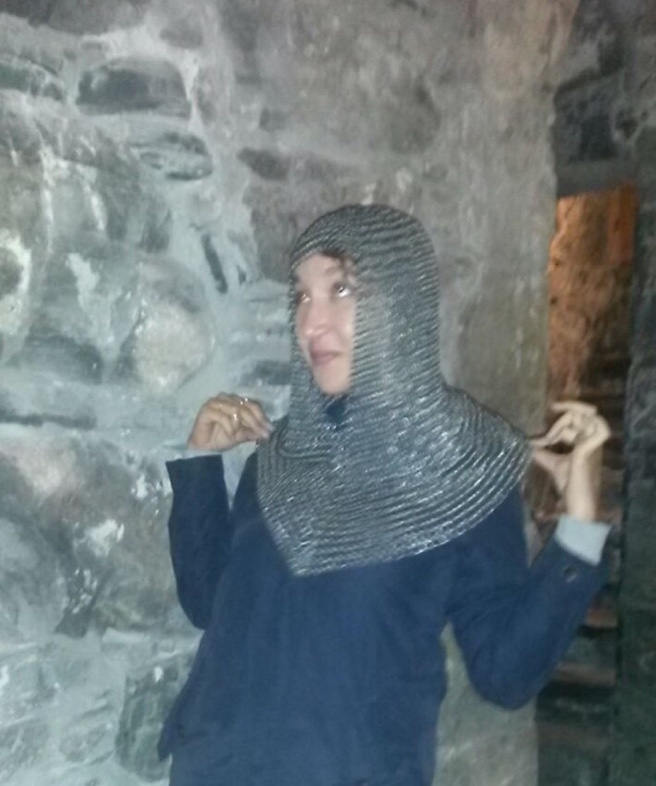 Sheltering from the rain we found Rosenkrantztärnet, a 16th century tower you can climb all the way up and get wet again and in between get dressed up in chainmail and play irresponsibly with blunt weapons. FUN. 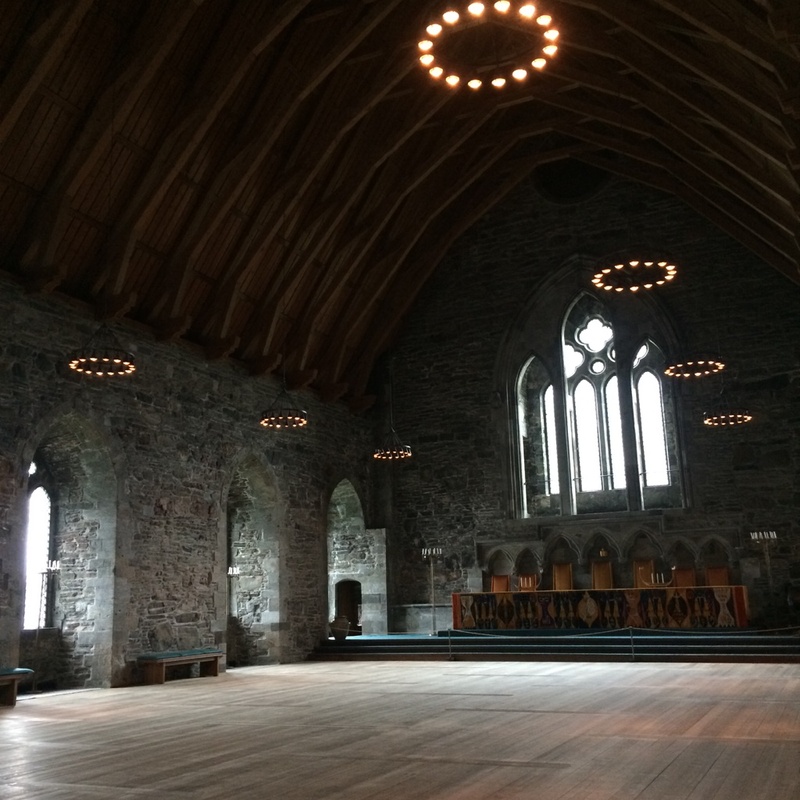 Next door was the Häkonshallen, a ceremonial hall which was so peaceful we actually sat in there for almost half an hour quite happily. 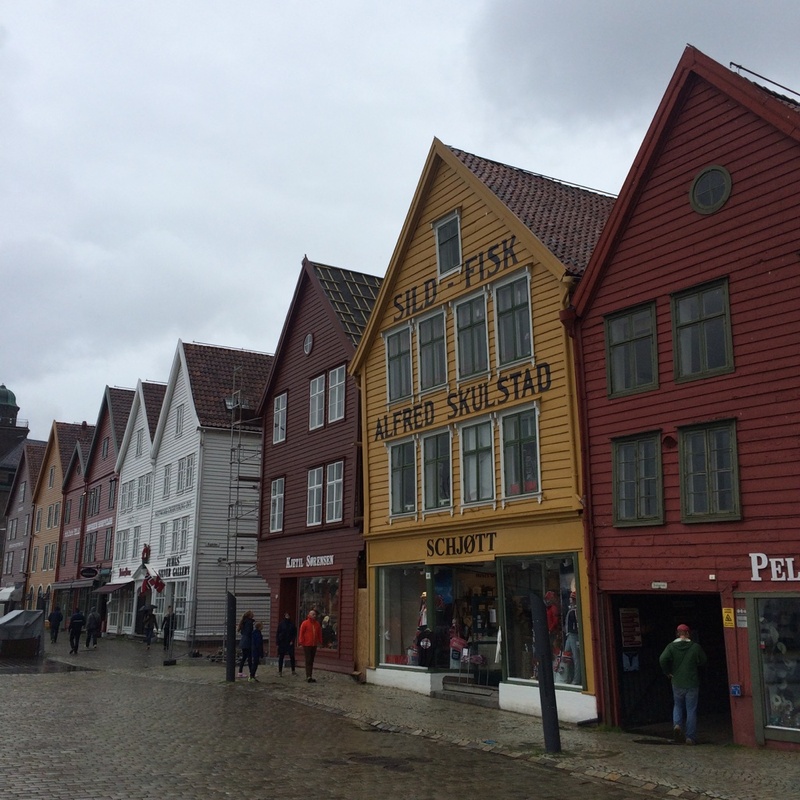 History lesson over and we grabbed lunch at the famous fish market (see more about what I ate in Norway here) before hopping on to a fjord cruise. At first we weren’t that impressed as the mist was low and our views were pretty much non-existant but thankfully the skies started to clear and the imposing walls of sheer rock started getting frightfully close. 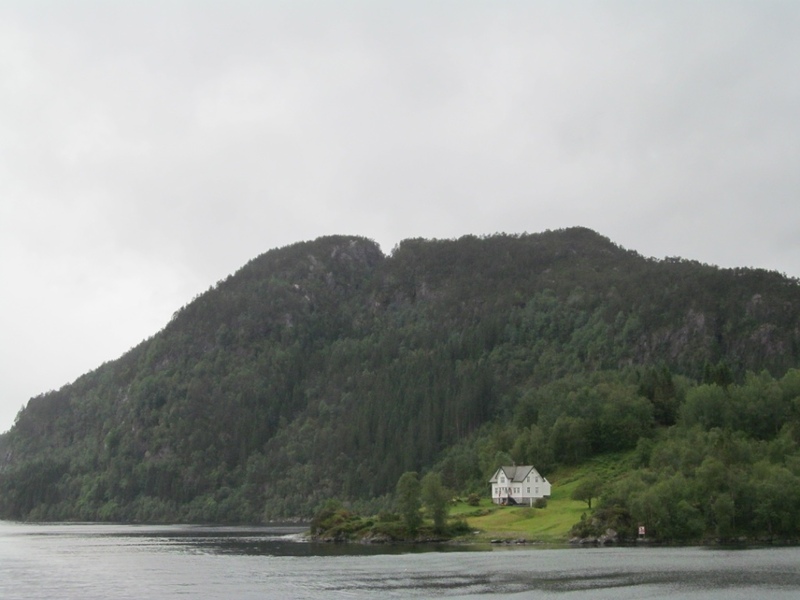 You’d think after 6.5hrs on a train through the Norwegian countryside the day before that we’d be done with such views but they couldn’t ever possibly get old. 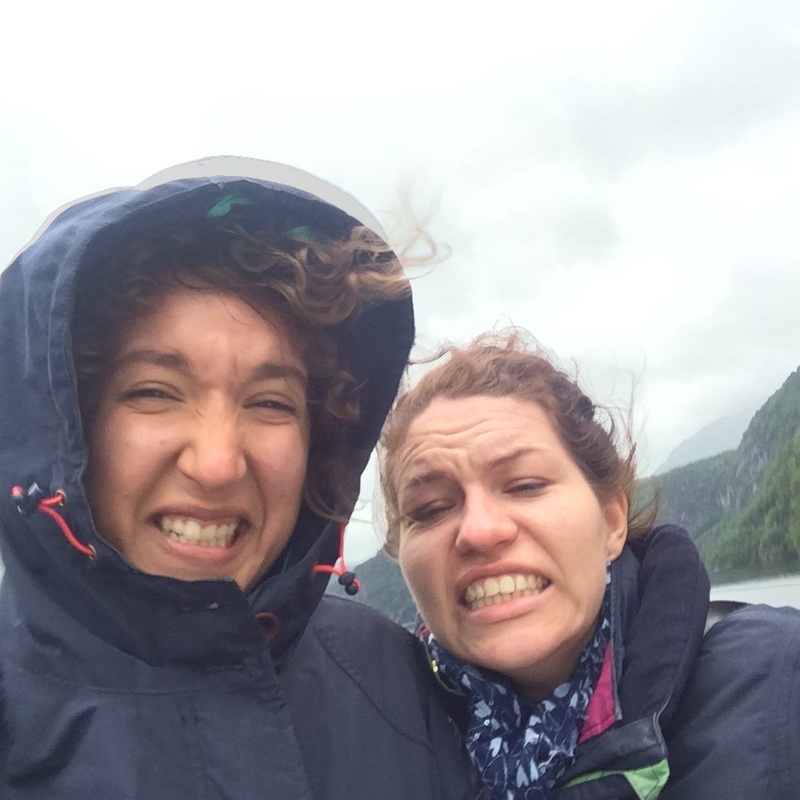 It was bloody cold and so windy up on the top deck but as with the train journey it was completely worth it. 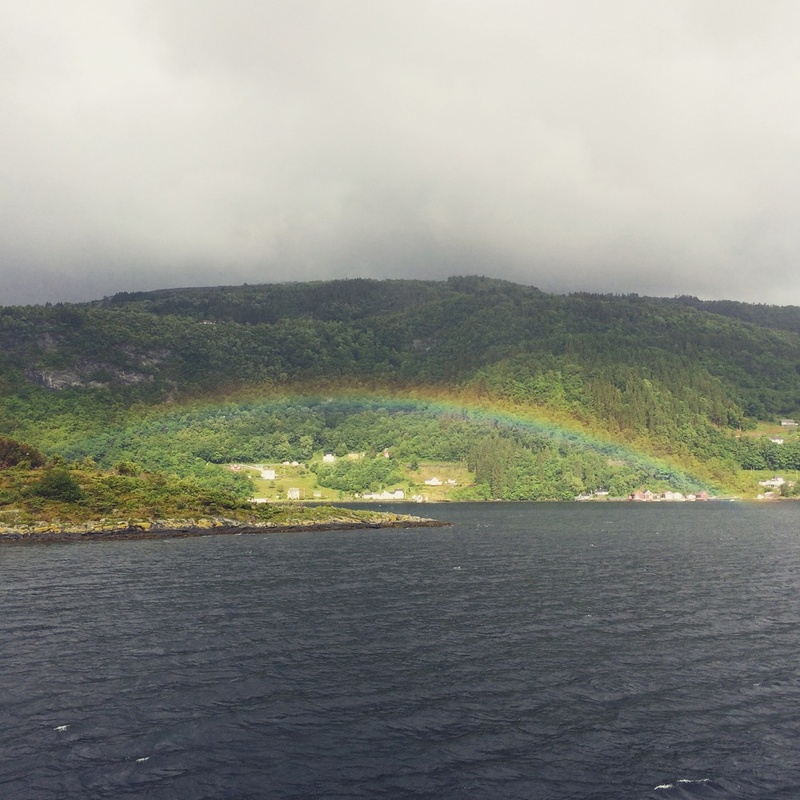 This time we were closer to gorgeous waterfalls and tiny, remote villages so beautifully cliched that one was genuinely framed by a rainbow. A rainbow for goodness sake! 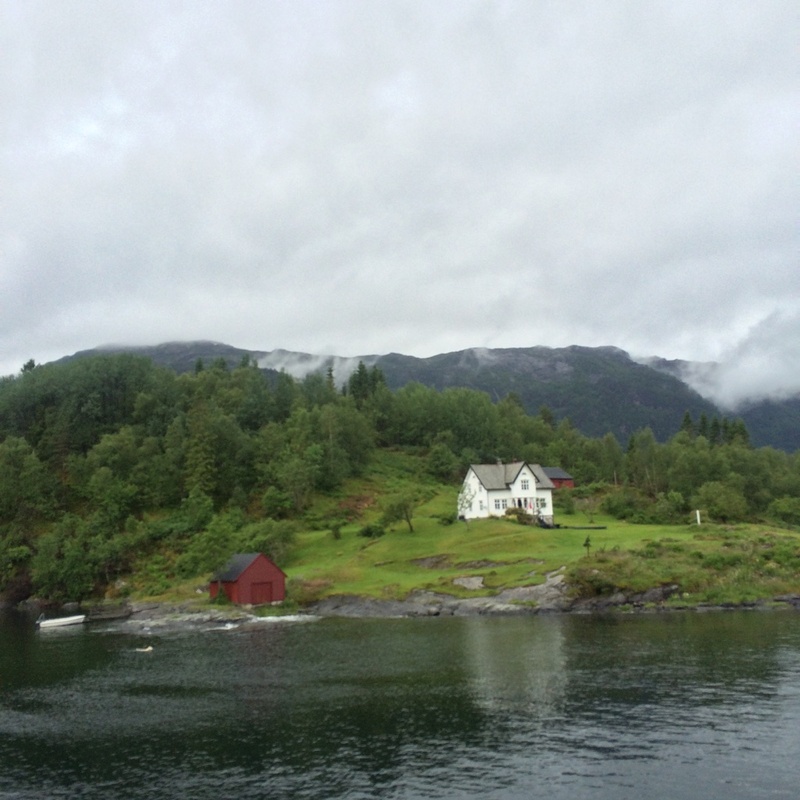 I mean, stop it Norway, you really are a stunner. 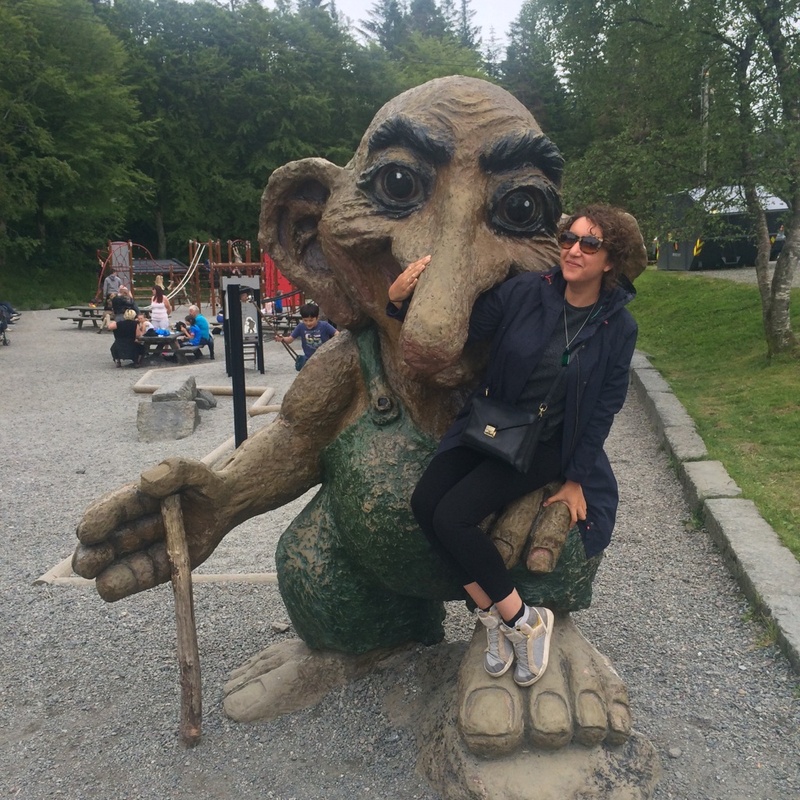 There’s lots more on my trip to Norway here and let me know if you’re planning a trip!